I am part of the 2017 Newcastle Writers Festival. As one of the people who created and runs BAD!LSAM!NO!BISCUIT! I was invited to be part of the Slam! Poetry and Performance panel on the Saturday. The panel includes Australian Poetry Slam founder Myles Merril, and Sarah Mansour from Bankstown Poetry Slam. David Grantham will be the host. I am looking forward to the discussion and learning about some of the different poetry slams that are run in Australia. On the Sunday I will be performing some of my work alongside Michael Aiken, Magdalena Ball, Joanne burns, Eileen Chong, John Foulcher, Judy Johnson, Sara Mansour, Ravi Nagaveeran, Philip Salom, Berndt Sellheim, Melinda Smith and Maggie Walsh as part of Port of Newcastle – Poetry in the Place. I lived in Newcastle for about ten years, mostly in the East End, Cooks Hill and Bar Beach but I haven’t been back since one of the early This is Not Art festivals, so I am looking forward to seeing how much it has changed. 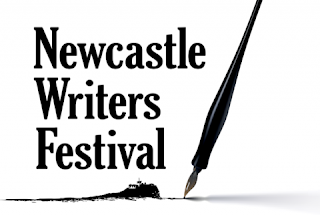 The Newcastle Writers Festival runs from 7-9 April, the events I am part of are free, come along and check them out.